Thats all. 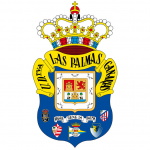 Game finished - Real Betis 1, Las Palmas 0. Second Half ended - Real Betis 1, Las Palmas 0. Júnior Firpo - Real Betis - receive yellow card for excessive celebration. Goal! Real Betis 1, Las Palmas 0. Júnior Firpo - Real Betis - shot with the head from the centre of the box to the right corner. Assist - Antonio Barragán with a cross. Antonio Barragán - Real Betis - hits the left post with a shot with right foot from the right side of the six yard box. Assist - Joel Campbell. Corner - Las Palmas. Conceded by Aissa Mandi. Offside - Real Betis. Júnior Firpo with a pass, however Antonio Sanabria is in offside. Ximo Navarro - Las Palmas - receive yellow card. Second yellow card to Míchel Macedo - Las Palmas - for a foul. Delay in match Míchel Macedo - Las Palmas - - injury. Andrés Guardado - Real Betis - won a free kick in defence. Substitution - Las Palmas. Imoh Ezekiel for Nacho Gil. Vicente Gómez - Las Palmas - won a free kick in defence. Nacho Gil - Las Palmas - won a free kick in defence. Substitution - Real Betis. Joel Campbell for Ryad Boudebouz. Corner - Real Betis. Conceded by Míchel Macedo. Offside - Las Palmas. Ximo Navarro with a pass, however Dani Castellano is in offside. 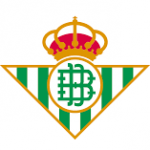 Aissa Mandi - Real Betis - receive yellow card for a foul. Alejandro Gálvez - Las Palmas - won a free kick in defence. Corner - Real Betis. Conceded by Dani Castellano. Shot blocked. Cristian Tello - Real Betis - shot with left foot from the centre of the box is blocked. New attacking attempt. Antonio Sanabria - Real Betis - shot with right foot from the right side of the box is saved in the right corner. Assist - Fabián Ruiz. Substitution - Real Betis. Antonio Sanabria for Joaquín. Offside - Real Betis. Fabián Ruiz with a pass, however Cristian Tello is in offside. Míchel Macedo - Las Palmas - receive yellow card for a foul. Júnior Firpo - Real Betis - won a free kick in attack. Júnior Firpo - Real Betis - won a free kick in defence. Substitution - Las Palmas. Vicente Gómez for Alen Halilovic. Jonathan Calleri - Las Palmas - won a free kick in defence. Substitution - Real Betis. Cristian Tello for Sergio León. Sergio León - Real Betis - receive yellow card for dangerous play. Raúl Lizoain - Las Palmas - won a free kick in defence. New attacking attempt. Ryad Boudebouz - Real Betis - shot with left foot from outside the box is saved by goalkeeper in the centre of the goal. Assist - Joaquín. Shot blocked. Joaquín - Real Betis - shot with right foot from the centre of the box is blocked. Assist - Marc Bartra. Sergio León - Real Betis - won a free kick in defence. Oghenekaro Etebo - Las Palmas - won a free kick in attack. David García - Las Palmas - won a free kick in defence. Missed chance. Sergio León - Real Betis - shot with right foot from the centre of the box missed to the left. Assist - Ryad Boudebouz following a fast break. Substitution - Las Palmas. Javi Castellano for Alberto Aquilani. Offside - Real Betis. Marc Bartra with a pass, however Sergio León is in offside. Missed chance. Jordi Amat - Real Betis - shot with the head from the centre of the box missed. Assist - Joaquín with a cross after corner. 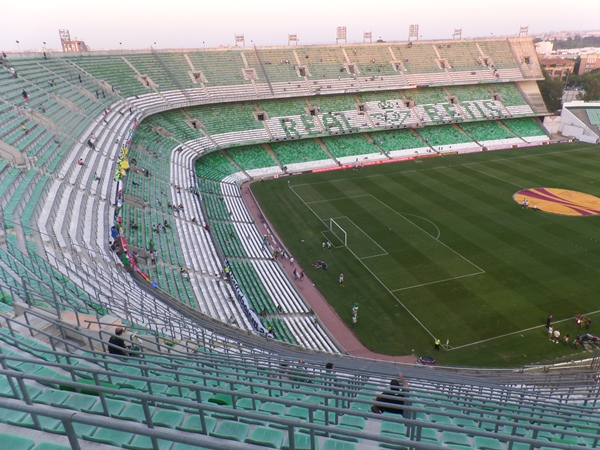 Corner - Real Betis. Conceded by Raúl Lizoain. New attacking attempt. Sergio León - Real Betis - shot with right foot from the centre of the box is saved in the right corner. Assist - Antonio Barragán. Shot blocked. Sergio León - Real Betis - shot with right foot from the centre of the box is blocked. Assist - Andrés Guardado. New attacking attempt. Sergio León - Real Betis - shot with right foot from the centre of the box is saved by goalkeeper in the centre of the goal. Assist - Andrés Guardado. Joaquín - Real Betis - won a free kick in defence. Second Half starts Real Betis 0, Las Palmas 0. First Half ended - Real Betis 0, Las Palmas 0. Missed chance. Andrés Guardado - Real Betis - shot with left foot from more than 35 yards missed. Assist - Fabián Ruiz. Dani Castellano - Las Palmas - won a free kick on the left wing. Nacho Gil - Las Palmas - receive yellow card for a foul. Marc Bartra - Real Betis - won a free kick in defence. Míchel Macedo - Las Palmas - won a free kick in defence. Jonathan Calleri - Las Palmas - receive yellow card for a foul. Missed chance. Andrés Guardado - Real Betis - shot with left foot from outside the box goes high after corner. New attacking attempt. Sergio León - Real Betis - shot with right foot from the left side of the box is saved in the right corner. Assist - Marc Bartra with a through ball. Fabián Ruiz - Real Betis - won a free kick in defence. Shot blocked. Dani Castellano - Las Palmas - shot with left foot from outside the box is blocked. Assist - Alen Halilovic. Oghenekaro Etebo - Las Palmas - won a free kick in defence. New attacking attempt. Sergio León - Real Betis - shot with right foot from outside the box is saved by goalkeeper in the centre of the goal. Assist - Júnior Firpo. Corner - Real Betis. Conceded by Alberto Aquilani. Missed chance. Júnior Firpo - Real Betis - shot with right foot from the right side of the six yard box is high and wide to the right. Assist - Ryad Boudebouz. Offside - Las Palmas. Jonathan Calleri with a pass, however Míchel Macedo is in offside. Corner - Las Palmas. Conceded by Jordi Amat. Sergio León - Real Betis - won a free kick on the left wing. Offside - Real Betis. Jordi Amat with a pass, however Antonio Barragán is in offside. Alen Halilovic - Las Palmas - won a free kick in attack. Fabián Ruiz - Real Betis - won a free kick on the right wing. New attacking attempt. Fabián Ruiz - Real Betis - shot with left foot from outside the box is saved in the right corner. Assist - Ryad Boudebouz. Delay in match Andrés Guardado - Real Betis - - injury. Andrés Guardado - Real Betis - won a free kick in attack. Offside - Las Palmas. Oghenekaro Etebo with a pass, however Míchel Macedo is in offside.